*Angela Bassett and Loretta Devine are two of the most recognizable faces in American cinema over the past 15 years. A listing of their combined film roles would be a story within itself. Upon hearing the duo were starring in the upcoming film “Jumping the Broom” our interest was peaked to say the very least. 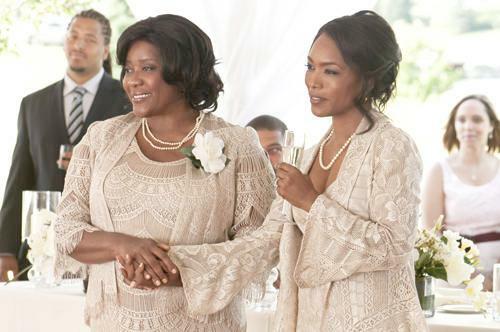 This was in part due to the fact that Loretta Devine has two films being released this summer, but also because Angela Bassett has proven to be very selective in the roles she accepts. “It’s easier to work with someone that you’ve worked with before and that you care about,” Bassett told EURweb.com. 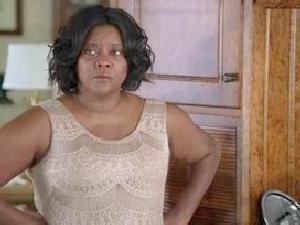 We’re all used to seeing Loretta Devine cast in maternal roles in a lot of her films, and that doesn’t change in “Jumping the Broom” either. However she’s a different type of mother. One that some might call the film’s antagonist. The film is being celebrated for it’s intelligence and wit, but we couldn’t help but wonder how difficult it was to wrangle comedian Mike Epps, a notorious ad-libber, to stay on track. Here Loretta explains. Intelligent, well-written and true to our culture, “Jumping the Broom” features several scenes in which those attributes shine through in abundance. Angela Bassett told reporters that she saw the film in its entirety for the first time at a screening and experienced much joy in her performance, and some pain. Angela Bassett has an almost regal air about herself. A dignity that permeates throughout every role that she has ever played. She told EURweb.com’s Lee Bailey that she is often perceived as overly serious because of her no nonsense approach to roles. That was the case in “Jumping the Broom” as well. Just as Bassett’s character is seen by some as being protective, Devine’s character is the same, but as mentioned above, with a villainous edge. It appears as though Devine can’t quite get out of that Momma mindset. But we can see why her heart was filled with pride. Laz Alonso did do his thing. Bassett told EURweb.com that she sympathizes with Loretta’s character for several reasons. Ain’t nobody gonna ever love a man like momma, that’s just reality. However, peace comes with compromise. Though the shackles of villainy are cast upon the leading ladies of “Jumping the Broom” the true bad guy is…. “The twist being that Laz is the one that excluded her and not the (bride’s) family,” explained Devine. “Some people think that she’s the villain in the story, but I don’t really think she’s the villain in the story. A lot of women that are mothers will identify with her story. “Jumping the Broom” starring Angela Bassett, Loretta Devine, Laz Alonso, Paula Patton and Mike Epps opens this Friday, May 6 in theaters throughout North America. This should be good… Looking forward to seeing it!